A nationally designated historic district, Old Town Alexandria is a welcoming escape on the Potomac River in Virginia. 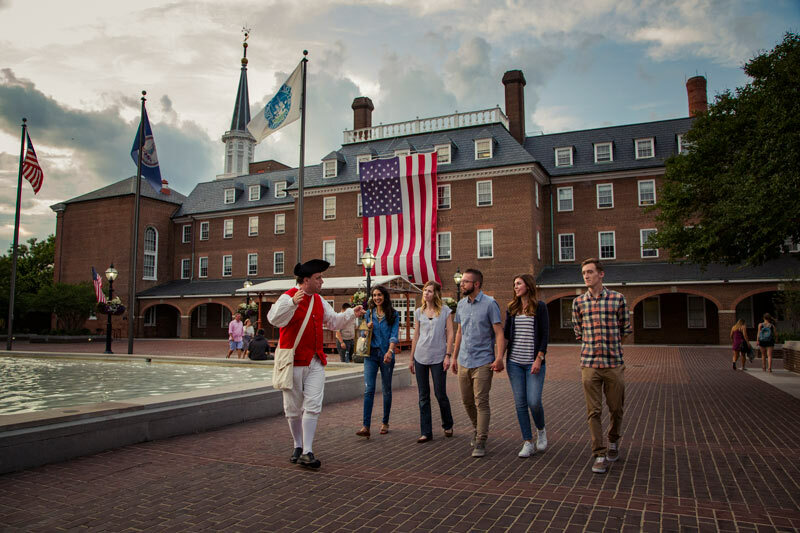 Old Town Alexandria hums with more than 200 independent restaurants and boutiques alongside intimate historic site museums and happenings right on the waterfront. Visitors will enjoy a walkable downtown lined with beautifully preserved 18th- and 19th-century architecture. Founded in 1749, this historic city is easily accessible by water taxi, Metro, bikeshare and more. So whether you're visiting for a day trip or staying here as the home base for your DC vacation, you’ll quickly discover why Alexandria was named a best value travel destination and one of the South's prettiest cities. Arrive in Old Town Alexandria by water taxi or Metrorail and step on to historic King Street, considered the heart of this charming city This walkable mile of centuries-old architecture was named one of the “Great Streets” of America by the American Planning Association and is also serviced by the free King Street Trolley. You will find numerous restaurants, boutiques and museums along the way. As an historic port city and a hub for the Potomac Riverboat Company, Alexandria is the launching point for eight sightseeing cruises and water taxis. Your boating adventure boards from Old Town’s bustling marina, which features street performers and outdoor dining. 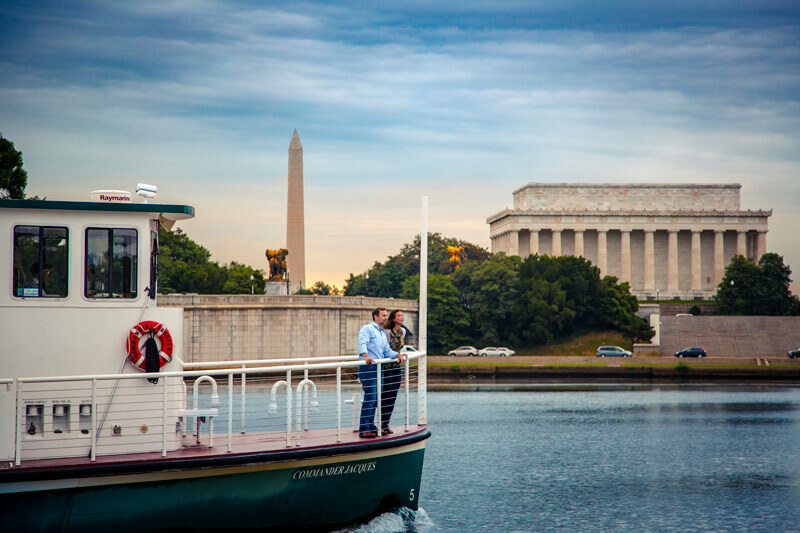 See DC landmarks on the narrated Washington Monuments Cruise and take water taxis to the National Mall, Georgetown, The Wharf and National Harbor. You can also cruise to George Washington’s Mount Vernon and take the Baseball Boat to Nationals Park. 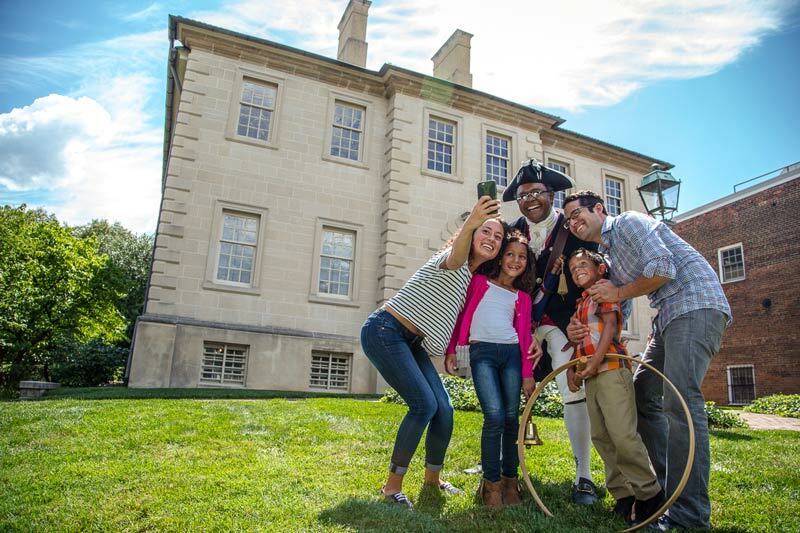 Experience early American history at Alexandria’s intimate historic site museums. Tour Gadsby’s Tavern Museum, which hosted George Washington and the first five U.S. presidents, the Stabler-Leadbeater Apothecary Museum, an historic pharmacy founded in 1792, and the Carlyle House, a Georgian manor built in 1753 by one of Alexandria’s city founders. The Key to the City museum pass, just $15 (a $49 value), includes eight historic sites and 40% off nearby George Washington’s Mount Vernon. Located in a former World War II torpedo factory, the Torpedo Factory Art Center is home to the largest collection of publicly accessible working artist studios in the country. 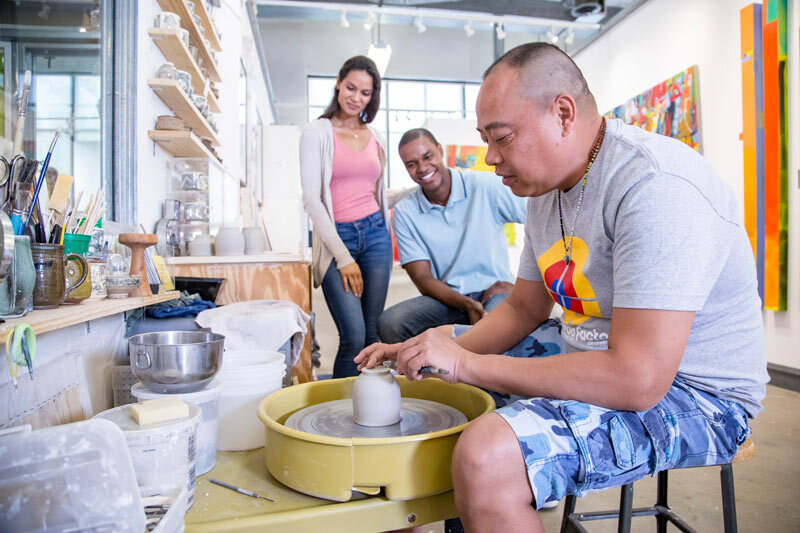 Guests can visit 82 artists’ studios featuring a variety of media including painting, ceramics, jewelry and printmaking, plus seven galleries, two workshops, and the Alexandria Archaeology Museum. Check the Torpedo Factory calendar for special happenings like late night events, live music and new exhibit openings. Alexandria is a foodie destination, with a renowned culinary scene and plenty of new restaurants opening all the time. Many independent and chef-driven restaurants are located in centuries-old buildings, like Virtue Feed & Grain, an American tavern located in an 1800s feed house, or Columbia Firehouse, home to the Columbia Steam Engine Fire Company of the late 1800s. For those seeking exquisitely crafted cocktails at Alexandria's bars and pubs, a sliding wooden wall inside Sugar Shack Donuts reveals Captain Gregory’s 25-seat cocktail lounge, while the glamorous PX, a 1920’s-inspired speakeasy, signals it is open with an unmarked blue light. 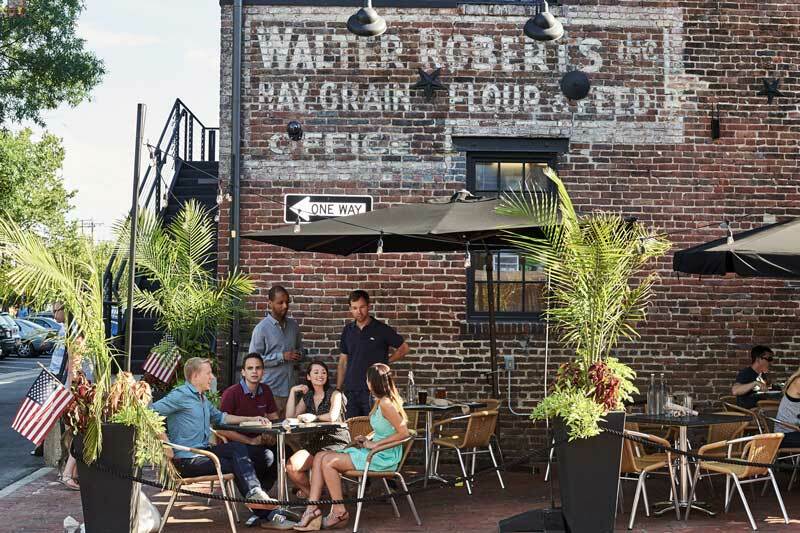 For a laid-back vibe with live music, stroll into local pubs Daniel O’Connell’s and Murphy’s Grand Irish Pub, and raise a glass of craft beer from Alexandria’s award-winning Port City Brewing Company. 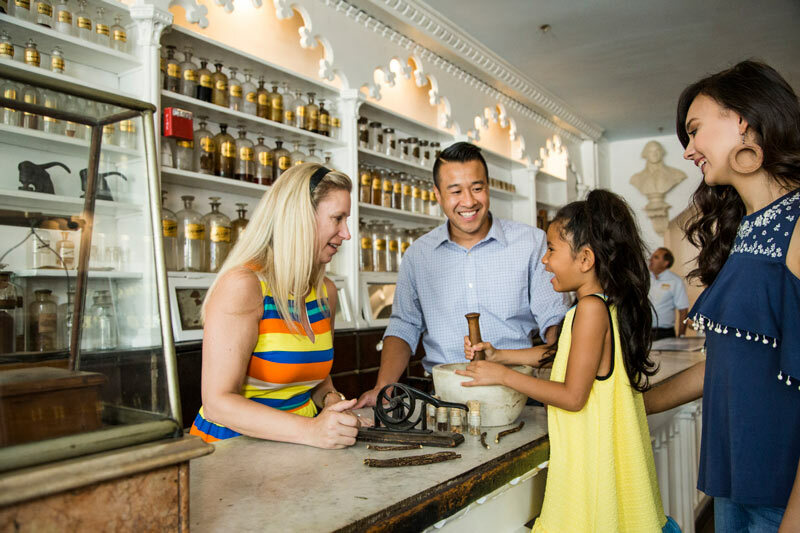 Step into Harry Potter’s world by visiting the Stabler-Leadbeater Apothecary Museum. This historic apothecary was founded in 1792 and operated continuously until 1933, when it was preserved as a museum. View more than 15,000 objects, from herbs to medical devices. Harry Potter fans can see the real-life ingredients used throughout the 1800s that were also used as “potion” ingredients in the Harry Potter books and movies. These include dragon’s blood, mandrake root, lavender, castor oil, valerian and more. Praised by food critics and in-the-know locals, Alexandria’s restaurant scene is a culinary oasis for comfort food with a creative twist. 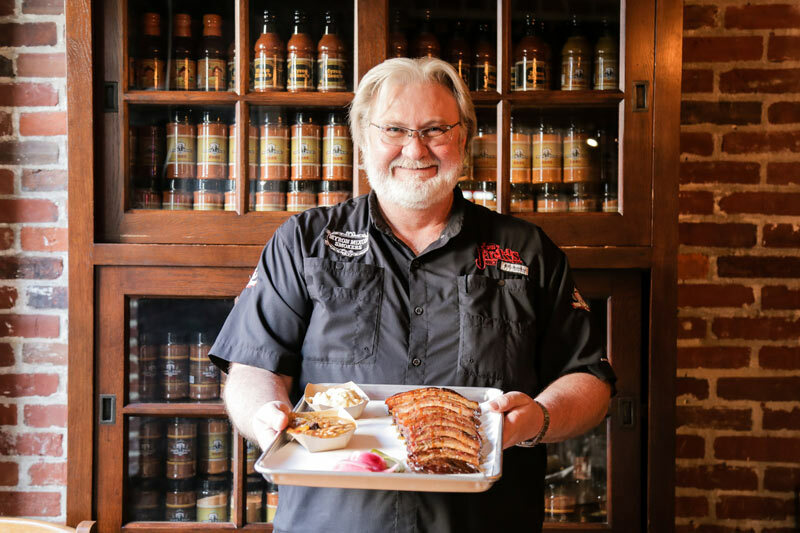 Celebrity pitmaster Myron Mixon serves up his world champion barbecue classics with surprising sides, while Meggrolls is acclaimed for its quirky and imaginative egg rolls with flavors like chorizo poblano and Hank’s Pasta Bar features seasonal Italian dishes and handmade pasta. There’s always room for dessert in Alexandria as ice cream shops, cupcake bakeries and chocolate shops line King Street. 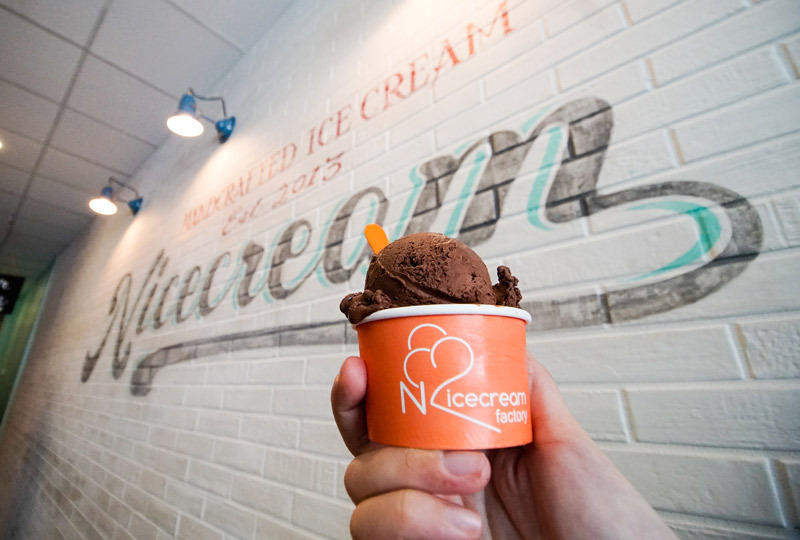 Try authentic artisanal gelato from Old Town Dolci Gelati or head to Nicecream for made-to-order ice cream created when liquid nitrogen meets farm-fresh ingredients. Alexandria Cupcake’s made-from-scratch flavors will have you dreaming of when you can return – we recommend trying chocolate peanut butter. 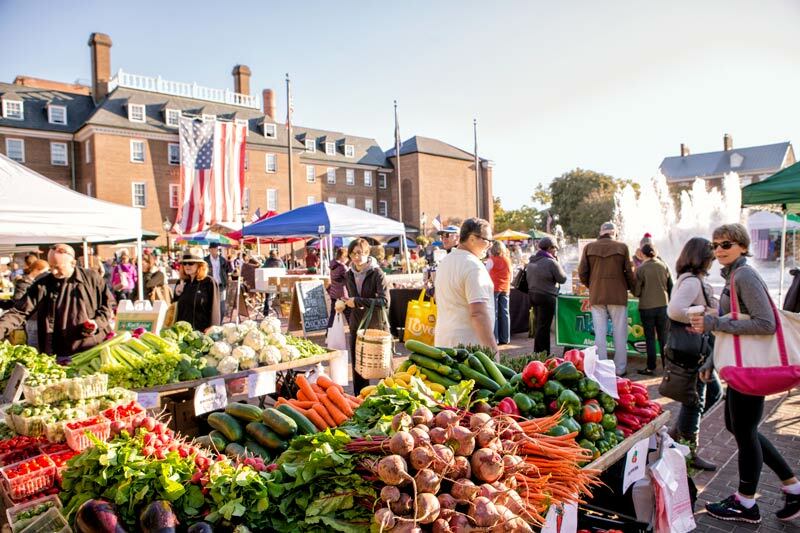 Held Saturday mornings year-round for more than 260 years, the Old Town Farmers' Market is the oldest continuously-run farmers market in the U.S. In fact, George Washington even sent his produce from Mount Vernon to be sold here. The market features vendors that sell fruits and vegetables, cheeses, breads, pastries, fresh cut flowers, art and more. 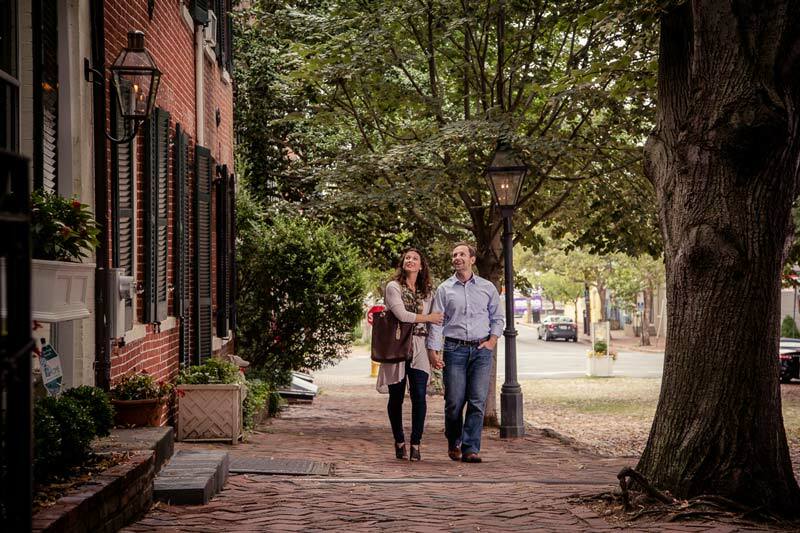 With its cobblestone streets, picturesque rowhouses from the 18th century and cozy restaurants, Alexandria makes for a great date night destination. Pair a stroll through Old Town’s iconic cobblestone block, Captain’s Row (the 100 block of Prince Street), with dinner at Vermilion, Magnolia’s on King or Mia’s Italian Kitchen. 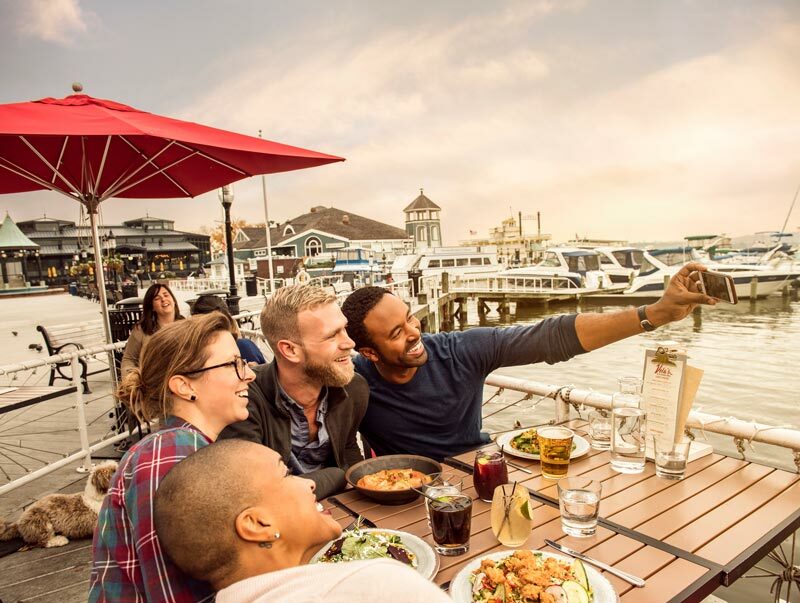 Enjoy stunning views of the Potomac River while you dine al fresco at Alexandria’s waterfront restaurants. Hummingbird by James Beard-nominee chef Cathal Armstrong is the latest buzzworthy spot, offering clambakes, crab boils and oyster roasts. Nearby at Vola’s Dockside Grill, enjoy fresh-shucked oysters, crab cakes and New England or Carolina low-country steamer pails. There are plenty of riverside restaurants to choose from in Alexandria, including mainstays Blackwall Hitch and Chart House. Founded in 1749, Alexandria’s haunted history comes to life on one of many ghost tours led by a lantern-carrying costumed guide. Roam through graveyards, stroll haunted neighborhoods and visit historic locales known for their eerie legends. 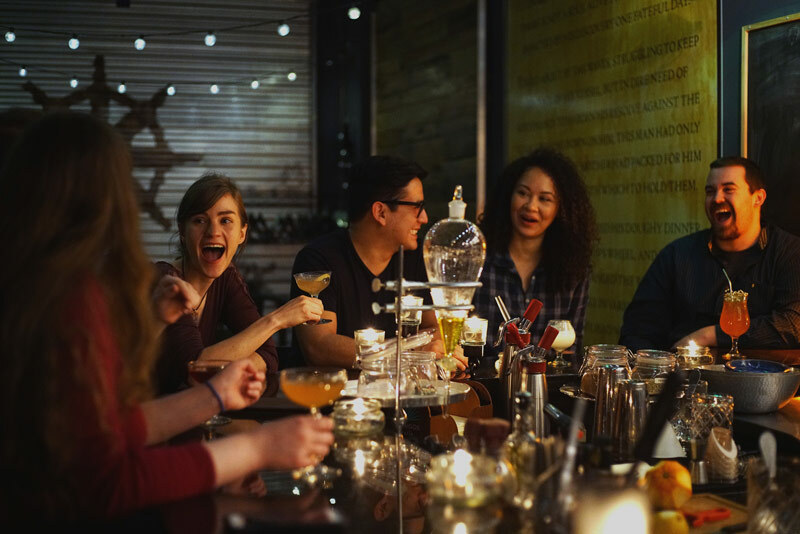 Those over the age of 21 can enjoy a Nightly Spirits ghost tour and pub crawl. As George Washington's adopted hometown, Alexandria has more than 140 locations associated with the nation's first president. 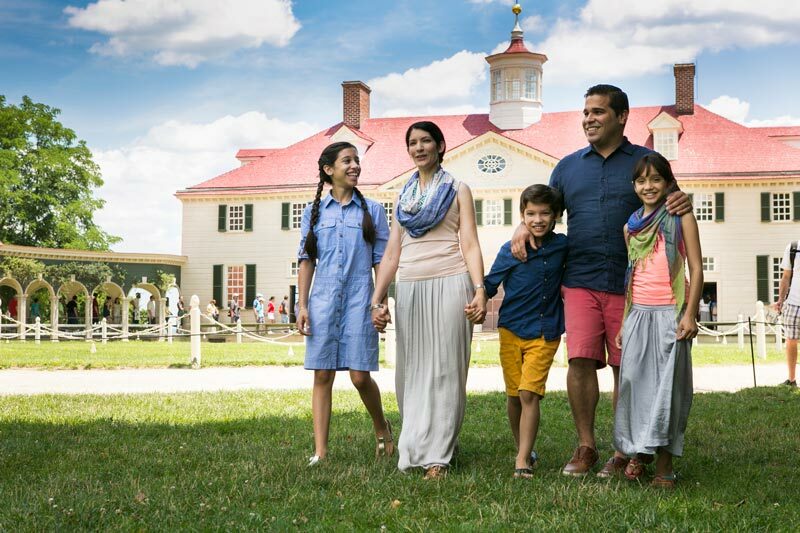 For the quintessential experience, head eight miles south of Old Town to George Washington's Mount Vernon, accessible by boat, bike and car. Explore the mansion, lush gardens and grounds, intriguing museum galleries and the distillery and gristmill. Make sure to put yourself in Washington’s shoes through a new immersive experience, Be Washington: It’s Your Turn to Lead. Browse one-of-a-kind finds starting just one block away from the Potomac River. 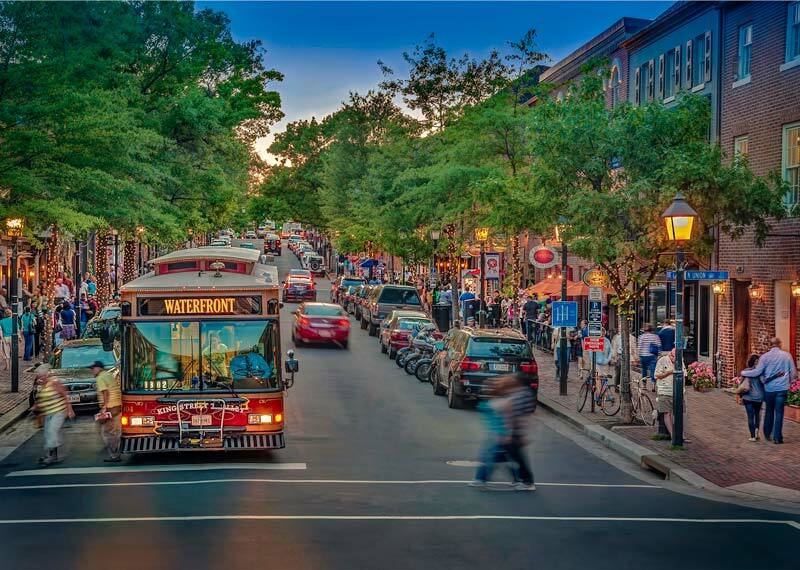 Old Town Alexandria is home to more than 100 independently owned boutiques, all in a walkable mile centered around King Street. 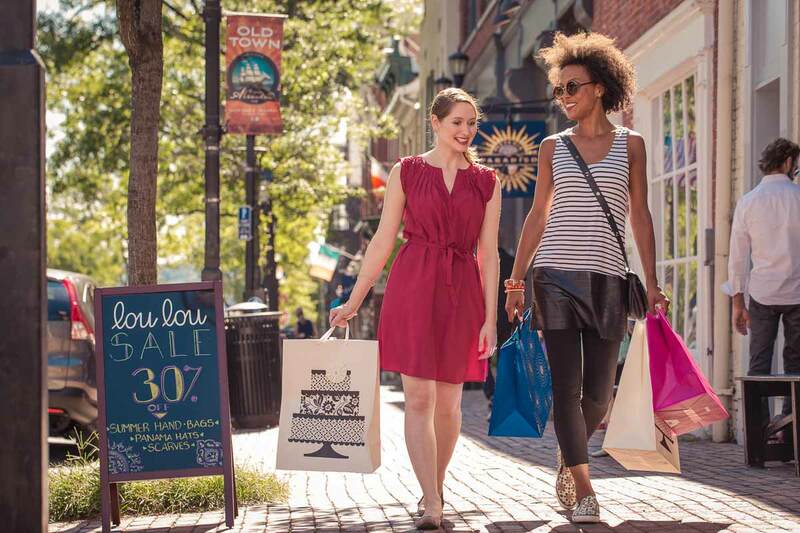 From designer shoes to exquisite vintage cocktail ware to home decor, shopping in Alexandria is an experience with in-store activities like “yarn tastings,” trunk shows and DIY workshops. Outdoor enthusiasts can take advantage of 20 miles of trails and more than 900 acres of protected open space in Alexandria, including eight waterfront parks. Nearly 18 miles long, the Mount Vernon Trail stretches from George Washington's Mount Vernon alongside the scenic Potomac River to the monuments and memorials in DC. 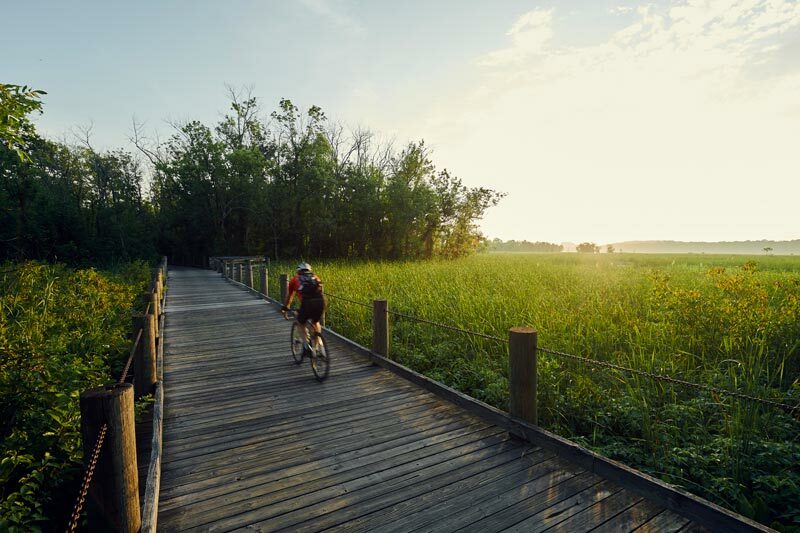 A favorite among runners and cyclists, the trail is one of the most popular sections of the 3,000-mile East Coast Greenway that extends from Maine to Florida.